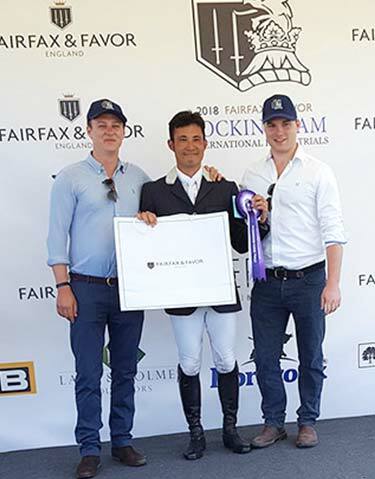 Kitajima (pictured with Fairfax & Favor founders Marcus and Felix) topped the leaderboard in the second one-star section, which bodes well for the ever-improving standard of Japanese eventing ahead of the 2020 Tokyo Olympics. This time he was partnering Riding Club Crane’s Koko Doro. The partnership did complete a couple of three-star competitions last season and finished fourth in a one-star at Chatsworth last weekend.